If your in the UK did you know you can free AND legally watch Freeview TV on your Samsung Galaxy S2 (or other modern phone, though I'm not sure on which phones in particular). 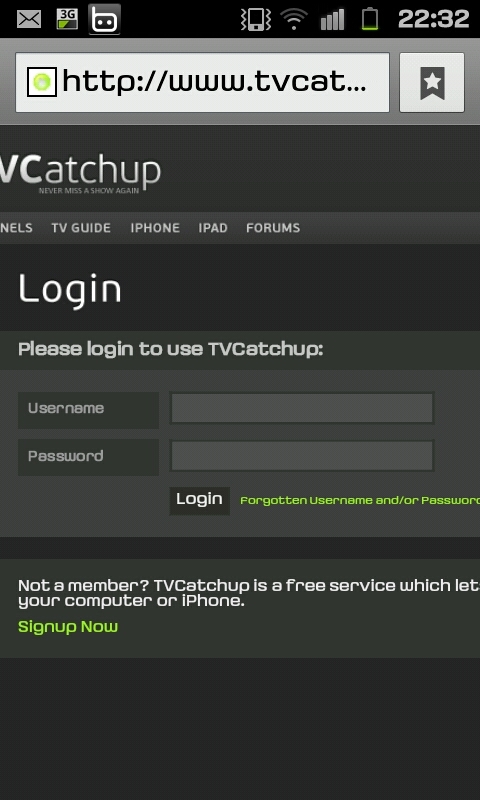 Firstly you will need to go to www.tvcatchup.com and create a free account then visit the site on your phone and login on the phones browser. The sign up is completely free and really simple, so you really won't struggle with doing this. 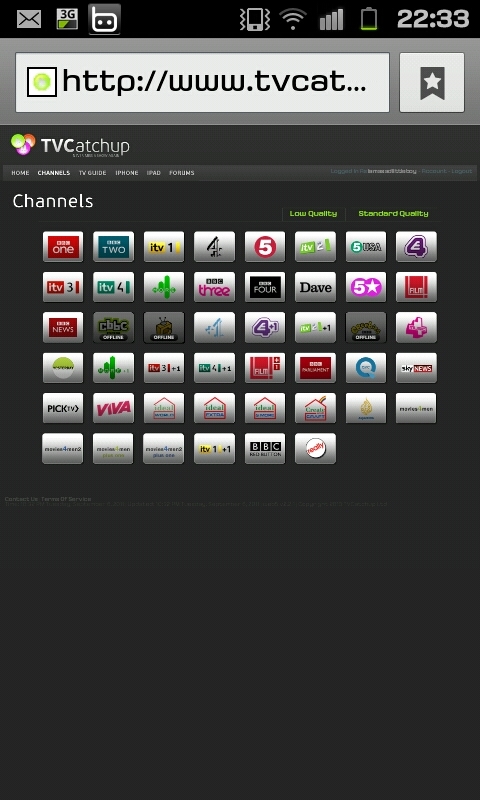 When you've logged into the account on your phone you will be able to access a channel list like the one in the screen shot on the left hand side with (almost) all the freeview channels. Whether it's a BBC channel (1,2,3,4, News and Parliament) an ITV channel (1,2,3,4 and some of the +1 channels) or the other channels displayed in the screen shot to the left, all you need to do is select one of them. 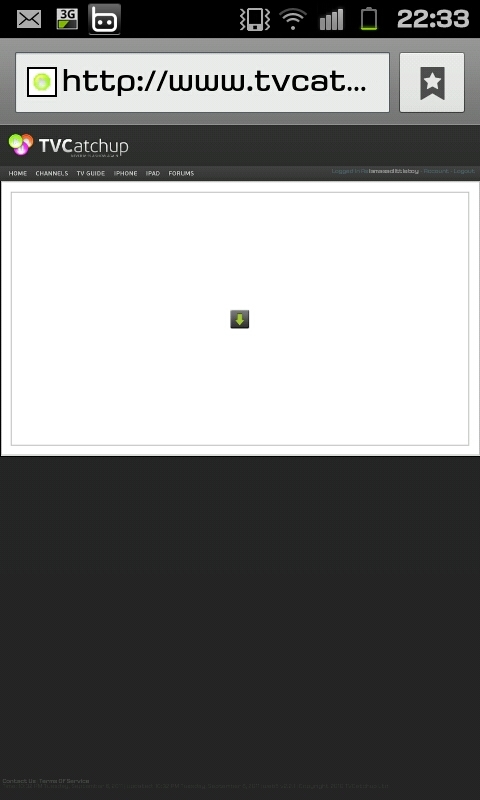 After you've selected a channel you'll see a new screen like this one on the right hand side with a white space and a small triangle in a square block. You need to click inside the space here to "load" the video which should play. You may however want to turn on "Auto rotate" and flip the screen on it's side to get a full wide screen type of view of the channel. As you can see in this screen shot to the left the quality is brilliant on a good phone (this shot was taken on a Samsung Galaxy S2). The best thing is that the stream is only a few seconds behind "live" TV. Before you start doing this to watch all your TV just be aware you will be using data so either make sure you're on unlimited data (such as that offered by T Mobile) or your connected to the internet by Wi-Fi as it is very data intensive. Whilst this guide was done with a Samsung Galaxy S2 it's worth trying with any "new" phone (any phone running Android 2.1 or better should be fine). hi i have a galaxy s2 but that site dont work on mine, it works on i phone, it says i need flash, but when went to add flash it says its not compatible for android yet????? iPhones don't have flash, android phones do, so that can't be the problem.